It's Poetry Friday! Today's event is hosted at Anastasia Suen's Blog. Recently I was speaking at a conference with a couple of my writing friends about our transitions into the world of digital writing. As I talked to the group about the challenges writers face, one woman raised her hand. She said what many of us have said before, "It's hard to find the time to write." What caught my attention about this writer sitting in the audience wasn't that she had been diligently taking notes or the way she nodded as others shared or the fact that she mentioned time, it was the way she said it. There was something about her tone. Something about the way her shoulders slumped forward as she said it. Something about the sadness in her eyes. Something about the sincerity in her plea. As I continued to speak to the group, I just couldn't take my mind off her. You see, like her, I wrestle with time. We all do. It's hard to sit down at the end of a long day and write. It's hard to train myself to stop the moment an idea comes to mind and start to scratch it out on paper or type it into my device. It's hard to get up early enough to write before the day's responsibilities take over my thinking. Most of all, it's hard to trust my fingers to find the words. Writing is hard. It's really hard. Stories slip through our fingers because of time, but also because we sometimes talk ourselves out of an idea before it even gets to begin. 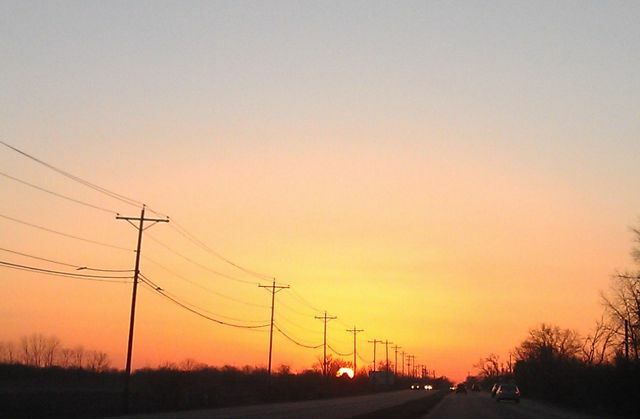 Maybe I'm always a little envious of the painter who can paint a picture so it feels like you are there. The way the artist captures the color, the shape, the feeling of a place or a moment. I'm always a little jealous of the photographer who can snap a picture that somehow speaks to my heart and soul or the writer who can find the words to wrap me inside a story. If I am to be honest, sometimes I'm a little frustrated by inability to find the words to tell my own story. Yet, if I give myself permission to take the time to find the picture or write the smallest bit of words, I begin to discover the trail of a story that might otherwise have been forgotten. Maybe someday I can get back to that story and paint the words with a little more detail or with a little more perspective. When I drive through towns with houses peppering the busy streets or fly over cities with lights shining toward the sky, I can't help but wonder about the stories just slipping away in the day to day busyness of our lives. I can almost picture them creeping up into the clouds, the thickness of the story turning to a thin vapor before it disappears forever. When I think about the writer in the audience that day I hope somehow she found comfort in our conversation. I hope she is fortunate to find a writing community to hold her up and help her move forward. As I looked at her that day, and then over at all of the people I have come to know through digital writing in this Slice of Life community, I wanted to pause to introduce them to each other. I hope she finds a community to help her push through one word at a time. I hope she finds the time and the determination to find her story. Maybe that's all that really matters. Maybe it only matters that we're here and we find our stories. It's Poetry Friday! Stop by Carol Wilcox's blog: Carol's Corner for more poetry! Mom leans against the doorway. thinking back to the day. that knew what it was like to need. given to her by her grandparents. 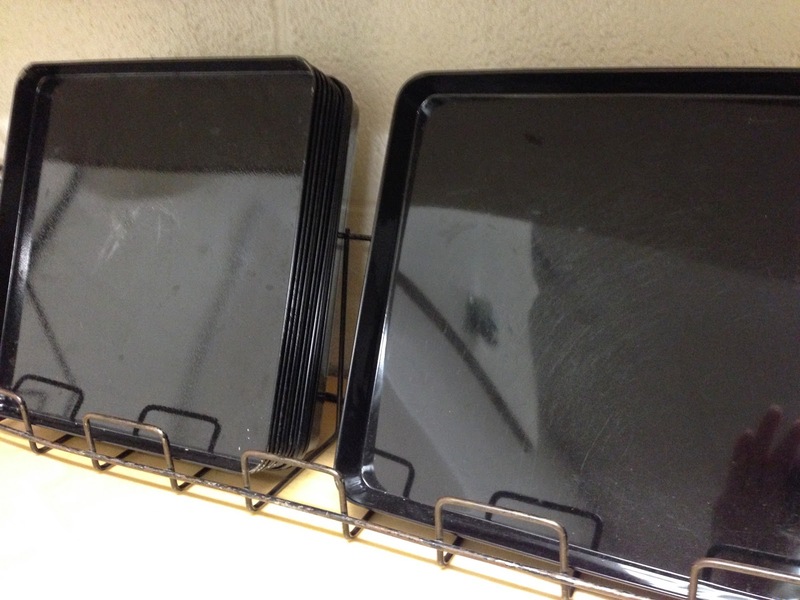 the grandma who carefully portioned meals. She has waited for this day. It's Tuesday so stop by Two Writing Teachers to join tonight's link-up and conversation. There's something about moving from blog to blog to savor the little stories that make us smile. On this Veterans' Day we honor the men and women who have served for our country; those people who believed in freedom and helped us to live as we do today. Of course, behind all of those who served in uniform there are other stories. Sometimes the story of a hero is beyond the battlefield. Sometimes the story of a hero is built over years of making a difference in other ways. This is the story of my grandfather who, not only served his country, but taught us all what it means to live to make a difference. Many years ago my grandma, a widow with two small boys, married this man. Who would have known that this one decision would shape so many events that would follow? He worked hard for his family. He eventually landed a good job with a progressive company. This job helped him to raise three boys into adulthood. 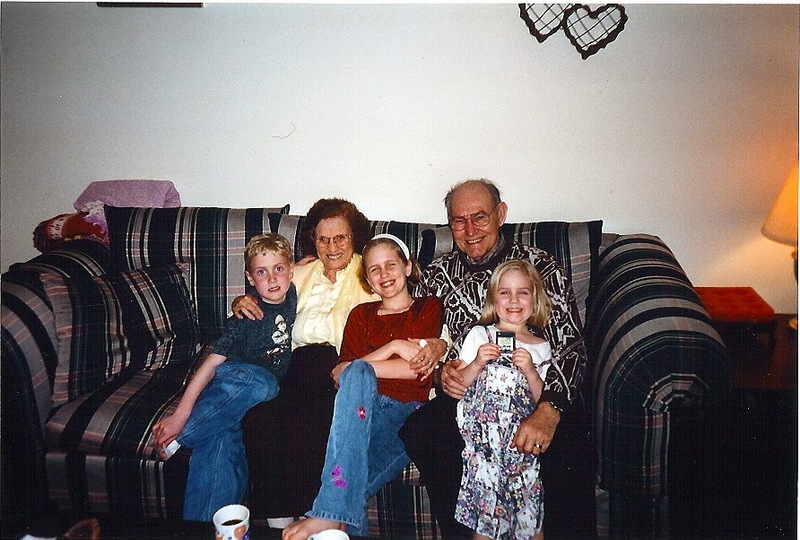 Growing up, I spent a lot of time with Grandpa and Grandma. Grandpa would come home from work, sit down in his chair, and relax a bit before dinner. He was the king of keeping me occupied. He always had a puzzle nearby we should try to puzzle out. He'd play a game of Kerplunk or a few hands of Cribbage. He taught me to play chess though I rarely was able to win. He would endlessly keep his eye on his watch while I would try to increase the amount of time I could stand unwavering on one leg. As I've grown older I've realized he apparently was wise in ways to calm a child. Grandpa kept the best stash of treats. Grandma always had plenty of food for us at her house. She made graham cracker sandwiches with homemade icing. She kept a fruit drawer full of tangerines and apples. She canned applesauce and peaches. She bought milk from the farm with the frothy layer of cream resting at the top of the jug. Though she had all of these treats always ready, nothing was as tasty as Grandpa's bag of Keebler Iced Oatmeal Raisin Cookies or a dish of his vanilla ice-cream. As I got older I learned of the stories that went along with this man. I learned about his mother who died when he was much too young. 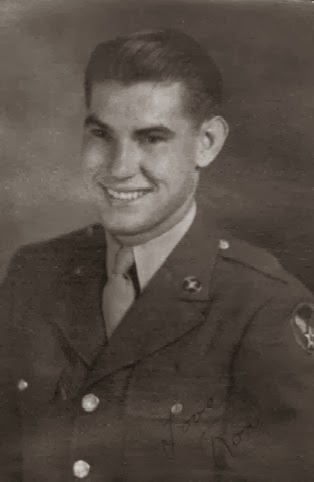 I learned of his service to our country testing planes before they would go into battle, putting them into a dive and hoping they would come out. I learned about how he had met my grandmother after her first husband had died in Iwo Jima during World War II. I learned of the work he did with his company and was amazed as I started working with computers to realize all he knew about programming. I never saw him give up and he was always one to do the right thing. Many years later my children would go over to my grandparent's house. My grandpa would occupy them with games. He would take them to preschool or pick them up from school when they needed a ride. They'd hang out with Grandma and him often. They'd eat his snacks and my youngest, to the shock of the entire family, would steal his chair. Stories of heroes are often told about the battlefield, but sometimes the real stories are wrapped deep inside our hearts. They are the stories that shaped our lives and made us who we are today. I know I am who I am today thanks to the love and hard work of this man. My grandfather, a man of honor and integrity, is in many ways responsible for where we all are today. It's Poetry Friday! Stop by Random Noodling where Diane Mayr hosts today's event. just given as a gift. the hour has come and gone. I was able to savor it. 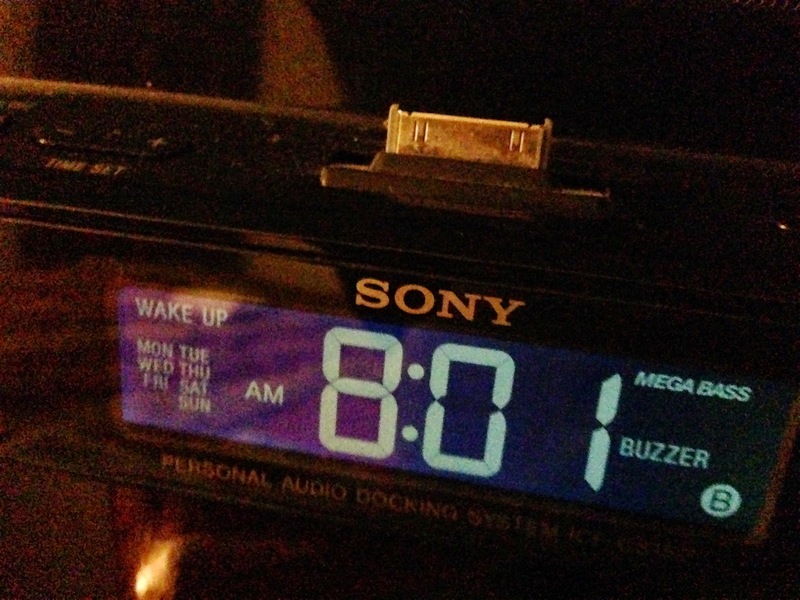 I rise and look at my clock. What was nine a.m. is now eight. how I slept away this precious gift. My great grandmother would have been 25 years old when women first obtained the right to vote. I like to imagine what it must have been like to vote for the first time. On Sunday, I took my youngest daughter to our county board of elections office to vote before returning to college. She had come home to visit for the second time since the semester began. She had realized it might be possible to vote before leaving. We filled the car more winter clothing, a few meals-to-go, and other items she might need in the coming weeks. We then headed to the polling location. This was her first time to vote, and she was quite excited. She had studied the ballot. She had looked up information on candidates. She was ready to head to the office. Thankfully we found the office open and taking voters. Cassie handed them her identification information and headed to the voting table. In our small county, voting is a bit like completing a multiple choice test as ballots are still paper with a fill in the circle format. As we left the election office, we chatted about the right to vote. I've voted in most every election since I was old enough to vote. Somehow I have always felt I owed it to the women who fought for my right to vote. I also have always felt it was important to try to have some kind of voice in the decisions that would impact me. There are many women around the world who do not have this same right. There are many people around the world who do not have this same right. Though advertising and dollars have become a big part of American politics, we must continue to go to the polls and vote. I'd like to think my great grandmother would be happy to know her great great granddaughter is exercising her constitutional rights to vote. It's Poetry Friday. Stop by Teacher Dance, where Linda Baie hosts today's roundup. Thanks, Linda. Over at Today's Little Ditty, Michelle has been talking about zenos. J. Patrick Lewis has challenged everyone to give them a try. I've tried and found them to be much more challenging than I imagined. Here's a few attempts. It's Poetry Friday!!! I'm honored to be hosting today's link up of beautiful words. If you're joining us, please leave your link in the comments. I will be back later in the day to move links up into this post. In the meantime, be sure to visit the comments to find links to more poetry finds. Days have turned to weeks. The rush of the wind. The bloom of a flower. to the days when you were always there. how much I have missed you. Robyn Hood Black at Life on the Deckle Edge shares October by Robert Frost. 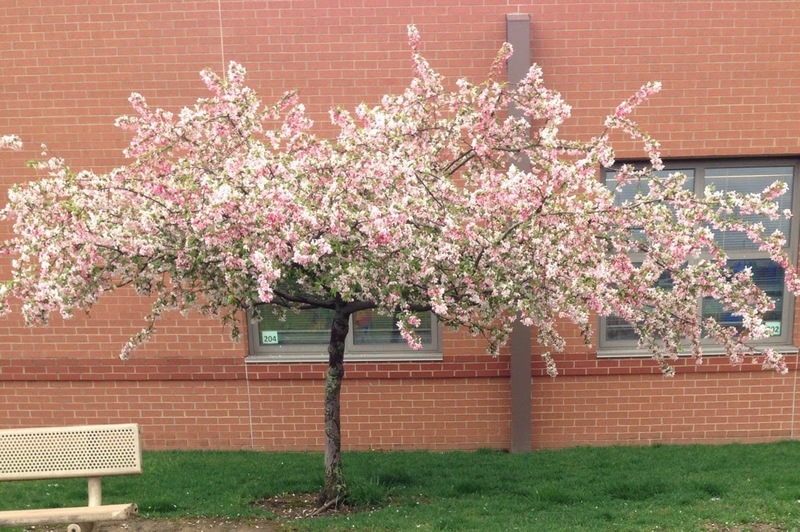 Stop by Teacher Dance where Linda Baie shares her poem, Confusion in the Garden. "Reply to the Question: 'How Can You Become a Poet?'" by Eve Merriam. Heidi Mordhorst at My Juicy Little Universe discusses science, autumn and poetry. This is perfect on so many levels. Stop by Carol's Corner where Carol Wilcox shares a poem about fall and morning --- or maybe they're really about something else: William Stafford's, Yes and Mary Sarton's, Autumn. Mary Lee Hahn has crafted an original poem at A Year of Reading titled "In the Early Morning Dark, In the Fall." You'll find words to savor here. As I look out the sliding glass doors, I can almost see the cold coming. Maybe the geese, and other migrators, are smarter than those of us who search our closets for warm coats, gloves, and boots. At Write Time, Linda shares her original tanka: Fly South; a gentle reminder that it is time to go...or maybe a warning of what is to come. Jone at Check It Out shares an original zeno about those darkening days of autumn. Follow the links to discover more about zenos and a challenge. Carol Vasalona shares her original poem, "Savoring the Season," at Beyond LiteracyLink. Stop by to enjoy her rythmic words about the season and learn more about her "Finding Fall Gallery" poem submission requests. Margaret Simon, at Reflections from the Teche, shares the poems inspired by the work of Laura Purdie Salas in Bookspeak. Laura's work inspired a little eclipse poetry by Margaret and her students. Stop by to discover these poems and follow the links to comment on the work of young poets. Catherine, at Reading to the Core, shares words of wisdom from Ralph Fletcher and his poem, A Writing Kind of Day. Ramona, at Pleasures from the Page, shares her diamante poem as she awaits a visit from poet, Janet Wong. An ode to signed books, and a photo gallery, are waiting at Author Amok. Laura Shovan uses dedications and the book titles to create her found poem, When You Sign My Book. Who doesn't fall for advice from a poet? You won't want to miss your stop at Today's Little Ditty where Michelle Barnes features advice from Carrie Clickard about using rhyme. Can't fall asleep? (Yes, I'm having a bit too much fun with the word "fall".) On her blog, Laura Purdie Salas shares her poetic response to Barney Salzberg's book, Chengdu. Over at Random Noodling, Diane Mayr, looks at Ernest Hemingway through a new lens and shares two of his poems: Chapter Headings and Montparnasse. It is so hard to stay focused as I link blogs to this round-up. The posts give me so much more to think about that I find myself wanting to click links, locate poems, discover new poetry. I had to work extra hard when I stopped by Doraine Bennett's site, Dori Reads. Doraine shares the work of Rainer Maria Rilke with a snippet from Letters to a Young Poet, as well as a poem by Rilke: I Am Much to Alone in this World, Yet Not Alone. At a wrung sponge, Adromeda Jazmon Sibley shares a nonfiction text with Chinese poems translated by Evans Chan. The book, Angel Island, by Russel Freedman is a story of a west coast immigration center. You'll want to stop Andromeda's blog to read all about this nonfiction text by Freedman. Iphigene at Gathering Books shares her original poem, Sapiosexual. Jama Rattigan at Jama's Alphabet Soup shares a little Colin Firth fest and a poem by Sara Teasdale, The Look. 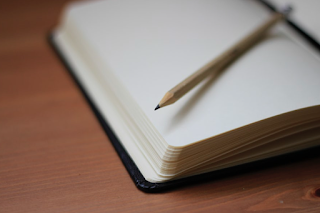 Do we target writing for a particular audience? April Halprin Wayland at Teaching Authors ponders this question and shares an original poem, Reluctant. Animal enthusiast? Tabitha Yeatts, at The Opposite of Indifference, shares Nurture by Maxine Kumin and ****NEWS FLASH**** a plan for a poetry swap. Time is limited as addresses need to be submitted by November 7th. You can continue your creature loving poetry walk with a stop at Kurious Kitty's Kurio Kabinet where Diane Mayr shares Creature Carnival by Marilyn Singer and highlights the poem: "Cerberus". This month is Dyslexia Awareness Month. Elizabeth Steinglass reminds us of the importance of taking care of others as she shares an original poem, "Note to the Teacher." More creatures featured! What is October without an opportunity to fall in love with monsters? At Booktalking #kidlit, Anastasia Suen shares M is for Monster: A Fantastic Creatures Alphabet by J. Patrick Lewis. She features his poem, "F is for Frankenstein". How does the head help the heart when we lose those we love? This question is considered at Bildungsroman in the poem, "Head, Heart" by Lydia Davis. At There is No Such Thing as a God Forsaken Town, Ruth shares "Death, be not proud" by John Donne. She reminds us that even in our final fall, or the fall of those close to our heart, death will not win. The things we will do for our children. We fall for them quickly, but oh do they keep us up at night. Stop by Karen Edmisten's blog where she shares this stage in a poem by Lisa Gluskin Stonestreet: "Called". A bedtime story can sometimes soothe a little one, lulling them back to sleep. This is true for bats as well. Mama takes care of little bat in this original poem, "Little Bat," shared by Joy at Poetry for Kids. Speaking of they way we fall for our children. Yes, the tiny ones wake us up at all hours, but those teenagers keep us on our toes. We fall for them anyway. At wee words for wee ones, Bridget Magee shares the words she is sure her teenage daughter hears in this original poem: Yada Yada Yada. A fun play with rhyme and rhythm. ...and for all of those years in between, stop by Radio Rhythm and Rhyme for Matt Esenwine's poem, "Which One?". This made me laugh! What's not to love about a stop at The Poetry Farm? Amy Ludwig VanDerwater discusses her recent attendance at an event called, Love Yer Brain. She reminds us of the importance of new experiences for inspiration and shares her original poem, "Dear Brain". Let's hear it for Niagara Falls. Charles Waters shares his original poem, "The Honeymoon Capital". "It doesn’t seem as if we ever get around to making the right choices about being human in these days of endless conflict." Isn't it sadly true? Tara shares her powerful poem, The End and The Beginning, a poem on the sad truths of war and conflict. As a teacher, I always wonder what my students will remember about me. My hope is always that students will see their light reflected in my eyes; that I will in some way help them to see all that they can be. In my years as a student I was fortunate to have many teachers who touched my life in different ways. I like to think each one played a part in shaping the person I am today. Today I stay in contact with many of these teachers who helped paint my childhood in possibility. Today I came home to the unfortunate news that one of my teachers just passed away. It was sad to hear that my fourth grade teacher had lost this last battle, but he had triumphed so many times before. Though he will likely never know it, he taught me much. When I think back, he is one of the first teachers I knew who truly believed in me. Even today, many of things I have become are a result of the light I saw in his eyes. Though I no longer act --- thankfully --- he taught me to push through tough situations. I learned a lot about myself during our class play, the Wizard of Oz, in which he cast me as Dorothy. I was humbled to be given such an important part and studied my lines over and over again. Though I often appeared confident on the outside, I was worried I would mess up the play for my friends. When I found out I would be expected to sing some of my parts I wanted to run for the hills. Mr. Conway worked me through a lip sync routine that surely rivaled the later short-lived success of Milli Vanilli's musical career. Mr. Conway was also the first teacher to make me think I might be able to write poetry. If you stop by here on a regular basis, you know I dabble in poetry every now and again. 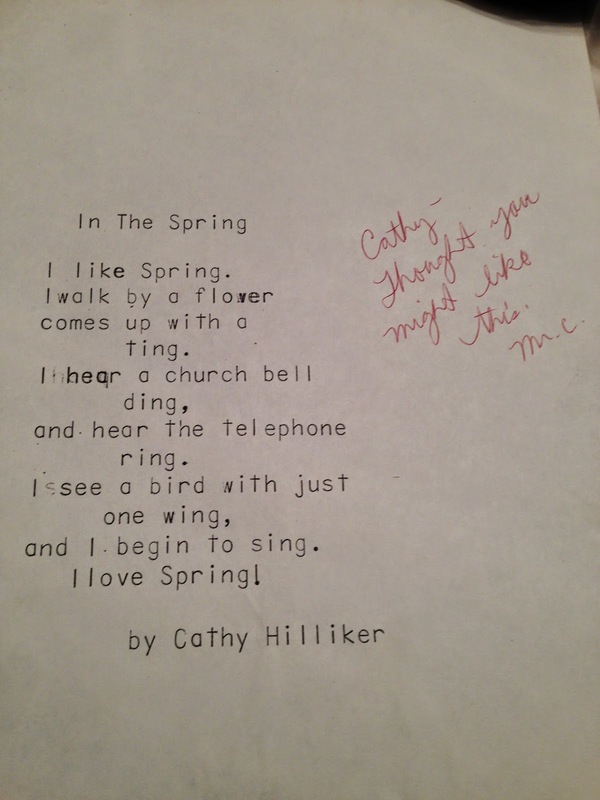 Every time I join the Poetry Friday link up or post a poem here, I think of my fourth grade teacher who first nudged me to try my hand at poetry. In these attempts, he carefully sowed the seeds of possibility in his enthusiasm for my attempts. Tonight I went digging for a poem he returned to me several years after I graduated. He handed it to me many years later knowing that surely I must still be writing poetry. Apparently even as a fourth grader I had a thing for nature poetry. I am comforted, however, to know I no longer feel the need for rhyme. Mr. Conway helped instill of a love a literature and story. He was the first teacher I remember reading aloud, though I am certain other teachers read aloud before Mr. Conway. It's hard to forget the way he would spend time each day after lunch reading chapter books to our class, his voice rising and falling with every word. We enjoyed the antics of Mrs. Piggle-Wiggle, the adventures of James and the Giant Peach, and the life of The Mouse and a Motorcycle. After lunch each day he'd pace around the room reading to us; leaving us hanging at the end of each afternoon so we couldn't wait until the next day. Our class was a bit of a challenge. Since it was only Mr. Conway's second year, I'm sure we caused him many a sleepless night, but read aloud was the one time a day where I remember everyone sitting quietly captivated. Music tames the savage beast, and beautiful words can calm the craziest of fourth graders. Mr. Conway taught me to make decisions and think for myself. He believed in personalization before it was cool. In math, we worked through chapters at our own pace and he consulted with us as we worked. I enjoyed being able to work at my own rate and having an opportunity to be in charge of my own learning. Though Mr. Conway has lost this final battle, I am thankful to have walked the path beside him if only for a short time. He helped me to see far out into the future and paved the way for the many steps that would follow on this journey. Jackie Robinson said, "A life is not important except for the impact in had on other lives." His impact was felt by many. I only hope my students will some day be able to say the same. Book or eReader? What's Your Poison? "Don't sit too close to the television," our parents warned as if our eyes might fall out or rays might soak into us. Maybe both things happened, but I seemed to make it through a childhood of mild television watching with few, if any, symptoms as a result. It's interesting to live on the cusp of new technologies. What did people think as they watched the first car owners drive past their homes? Imagine the disgust as televisions began to replace radios. What were they saying when computers first found their way to our desktops? What about that hard rock-n-roll music that was sure to doom your soul? I nearly fell over laughing when I saw it. As much as my friend enjoys reading books, I enjoy reading on my reader. The study suggests that people who use readers may have difficulty sequencing events in a story (for the record, I may have had trouble with this before eReaders). Of course, I think there are a lot of questions to be asked about the study. What was the sample size? Were readers experienced with eReaders? 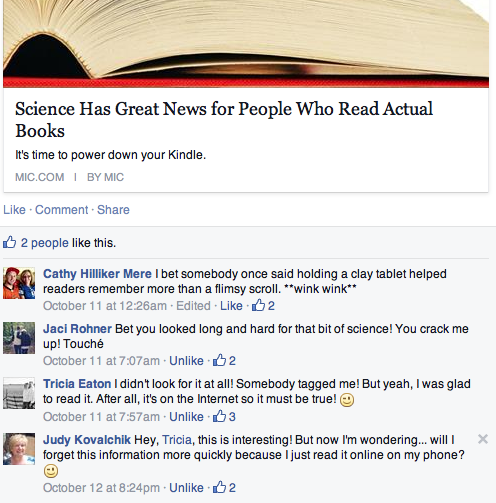 Did readers want to read on an eReader? These are just a few questions for starters. No matter what science says, I will continue to read from my reader. I just prefer it. There's something about being able to visit the library virtually and fill the shelves with titles. There's something about being able to read a sample before purchasing a book. There's something about being able to highlight favorite lines and have them collect in a cloud. There's something about being able to touch a word for a definition. It even makes me feel better to not be able to physically see how far I am from the end of the book without touching for a line at the bottom of my screen. There seems to be less pressure to race to the end of the book. I love the swipe of a page turn, the gentle adjustment of font size at the end of the day, and the look of a bookshelf with covers facing out. Not to mention the additional space I now have in my living room, closet, and other spaces around the house. I can carry my library right in my purse. As I told my friend, I'm sure when they left clay tablets and moved toward scrolls there were people who missed the feel of those heavy tablets. All I know is I read more now than I ever did. The great thing about our world is it is full of options. If you still love a book, you can still get a book. I love my friends who still love to hold a book, smell its pages, and turn through a story with the pinch of their fingers instead of a swipe. The good news for both of us is according to scientific studies, reading for just 6 minutes a day reduces stress by 68%. You can't make this stuff up. We also appear to be 2.5 times less likely to develop Alzheimer's. (2.5% is huge, right?) Whether we can sequence effectively or not, there are still benefits to time spent reading no matter how you choose to do it. For me, it's the opportunity to chat about books with friends and exchange interesting scientific research from the internet. It's Tuesday so stop by Two Writing Teachers to join tonight's link-up and conversation. There's something about moving from blog to blog to savor the little stories that make us smile. 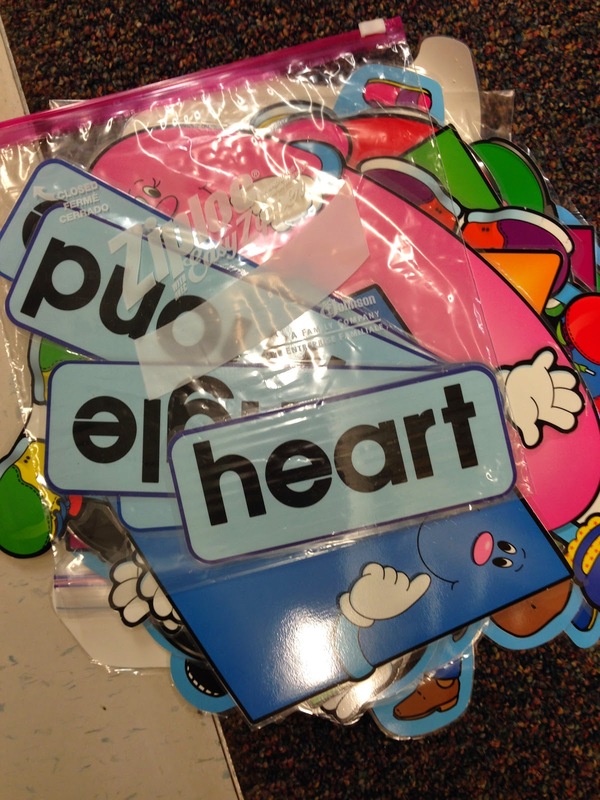 Thanks to Julie Johnson for helping me get my fingers on the keyboard tonight with her post, Nourishing the Teacher Writer. Growing up, I was not a sports fan. Hardly able to dribble a ball and chew gum at the same time, I just never took to sports. My physical education teachers were patient with my challenges. I worked hard. I tried. I listened. Somehow it just never seemed to work. My friends were all big athletes so I spent my time keeping statistics for teams so I could hang out with them. Living in a small football town you can imagine the complications of growing up uninterested in sports. The challenges didn't end on the field. I had to learn to handle sports fans in my everyday world as well. One of my best friends was a sports fanatic both on and off the court. It seemed at her house there was always a game of one kind or another on the television with family members cheering for their favorite teams. My grandma listened to baseball religiously. I'd laugh at her kitchen coaching, but still I just wasn't a fan. 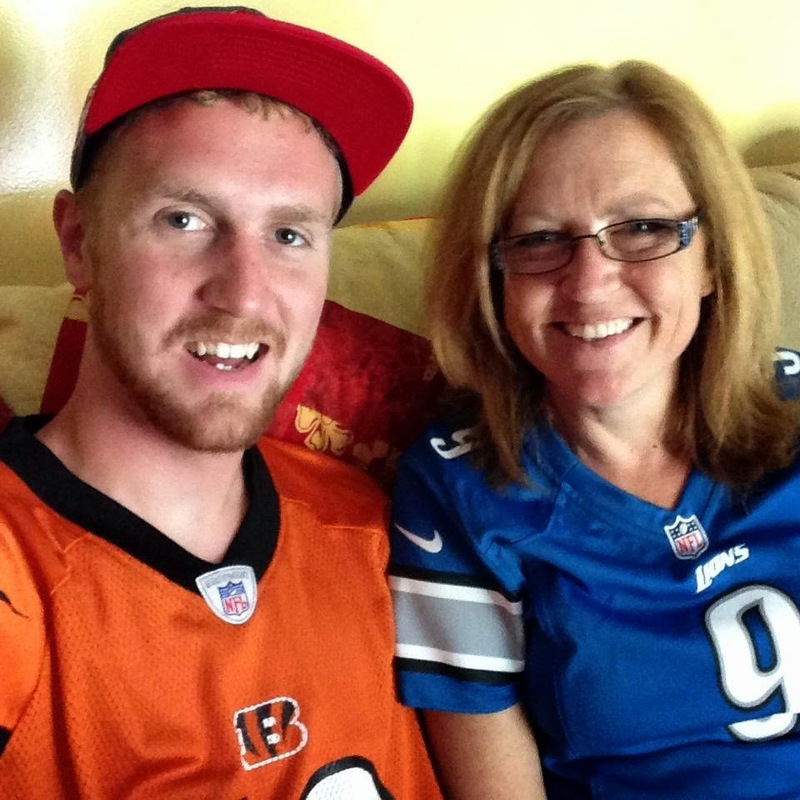 Last fall my son talked me into joining a family fantasy football league. I laughed at the idea, but I joined in hopes of learning a bit about the sport along the way. In order to avoid being the laughing stock of the family, I raced out and purchased a fantasy football magazine (those things are ridiculous in price!) and started searching the internet for draft tips. I thought I had a strategy, but when selections begin to fly all of that goes out the window. Despite my best efforts, I ended last football season at the bottom of our league. I blame Ray Rice. This year, I'm a bit more fantasy savvy. Case in point, I didn't make the mistake of drafting Ray Rice again. Experience is a good teacher. I've had a fantasy basketball and baseball team. I've managed dig a few fantasy scoops off of Twitter. Each season I learn a little more about the sport and the fantasy game. I'm sure my friends wonder about me as I sit watching games, post sports updates, and cheer over favorite players. Who knew one day I'd stay up late on Monday night to watch my favorite quarterback? Who knew I'd be cheering from my sofa seat as he completed a 60 years pass to one of his receivers? Who knew I'd jump up and down as he scored HIS OWN touchdown? Yep, Matthew Stafford is going to lead my team to victory this year. I hope the family is ready. It's Tuesday. Two Writing Teachers are hosting Slice of Life today. Stop by and join the conversation by reading, commenting, or sharing your story. "Remember the book we used to read: Goodnight Moon? I feel like I need to go around the house and say goodbye to everything this morning before I leave," my daughter said as she got ready to move her carload full of "must haves" to college. How could I forget? I'm pretty sure I read that book to her five times each day while she toddled around the house all of those years ago. I smile to myself at the memory that seems long ago and like yesterday all at the same time. Where has the time gone? Bringing myself back to reality I scan the house to see if we have forgotten to load anything. The day is sure to be a long one full of lifting, putting together, and getting settled. Though I know I will miss her, I'm also excited for her. I make a conscious effort to let the excitement win the battle for my attention. 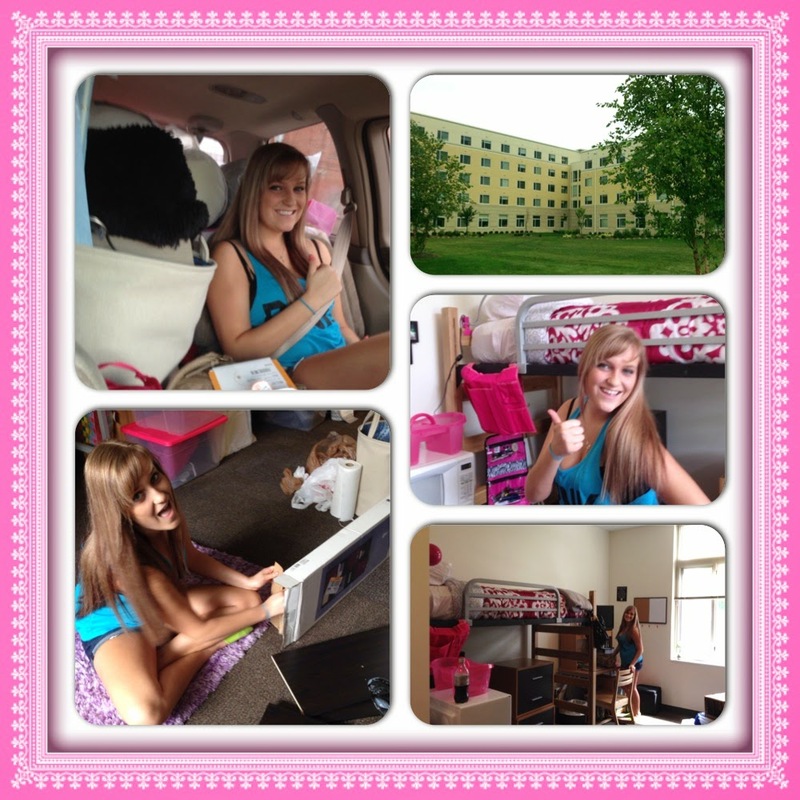 After all, I still remember the first day I drove onto Ohio State University's campus. It was as if I knew there was a world of possibility right in front of me. For the first time, I felt as if I were in charge of the direction my life would take. To this day when I drive on the campus, I am reminded of that feeling. It isn't long until we are on the road with a van packed full of clothing, bedding, organizers, and essentials (I use that word loosely). She sits in the back with everything packed tightly around her. There's no time to waste upon arrival as times to stay parked in front of the dorm are limited. There's much to be moved and put away to get her settled into her new space. We arrange furniture, find places for everything she's brought, and put the finishing touches on the room by hanging a few pictures in her space. Soon she seems satisfied with all we have accomplished. I remind myself of all the opportunities she will discover here. For the first time, she's fully in charge of the direction her life will take. I remind myself of this as I say goodbye to her and head home. Goodbyes like goodnights are only temporary. Every goodbye is followed by a hello and goodnights are followed by new mornings. It's Poetry Friday. Today's event is hosted by Mary Lee Hahn at A Year of Reading. Stop by today's round up for more poetry. In a week I begin a new journey as I move from my first grade classroom to a reading intervention position in our building. It's the first time I've been without a classroom to arrange, a class list to call my own, or a classroom community to begin to build. It's a little unsettling. I'm excited about this new opportunity and am beginning to rethink my community --- it's just larger. Find my class list --- it's the classes I will be working with in the upcoming year. I stumbled upon this poem this evening that seemed fitting as I find my way in this new place. by David Wagoner from Collected Poems 1956-1976 © Indiana University Press. Here's to a new journey as I discover my new HERE. 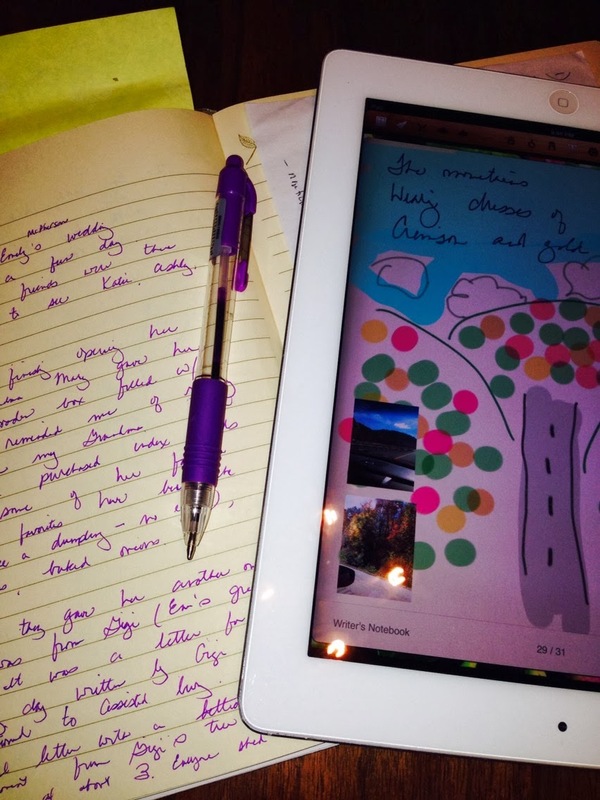 Today I'm joining a Slice of Life hosted by Two Writing Teachers. Stop by for links to this amazing community of writers. For me, summer hasn't been slow. It's been busy. Though I've been out of school since the beginning of June, it wasn't until July 16th, that my professional work took a bit of a break. Every week since school ended I've been involved in meetings, professional development sessions, completing work related to school, and catching up on professional reading. Now, granted, the schedule has been a bit more slowed, but it's still been full of professional work. Finally on July 16th, I decided I was able to find the time for a two week break (sort of). In one of those paused moments in the last few days, Jill's post caught my attention as I read …. 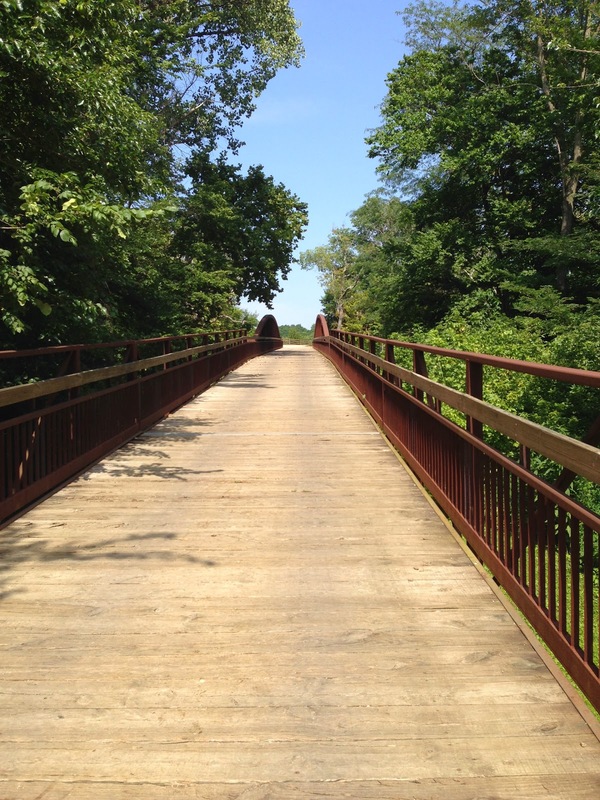 "to recapture that relaxed, slow feeling of summer in the middle of the school year." 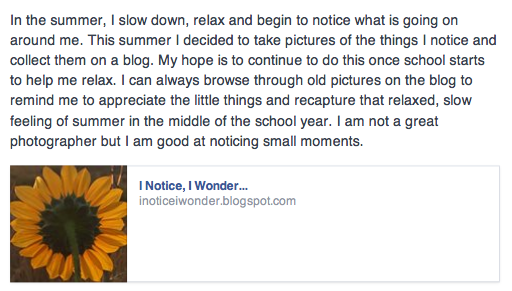 On her new blog, she is sharing pictures of little moments in life she is able to enjoy in the summer because she takes the time to slow down to notice and wonder. Just reading her post made me slow down a bit and take a nice deep breath. It reminded me to slow down a bit in these next few days to take time to notice and wonder. As I looked through my photos, I realized that even in the busyness of obligations, I was able to find little moments to slow down and savor summer. In the coming days I plan to do much more of this, but I hope to remember that it is possible, even when I'm busy with school, to find moments to slow down to savor. I've been wanting to play with Animoto so here are few of the moments I've savored in recent summer days. Thanks, Jill, for the inspiration - and new lens. "I'm headed into town," I called to my husband as I opened my car door. "Do you plan to use the gas points for the truck? It's the end of the month so we need to use them today or we'll lose them. If you don't need them, I'll fill up my car." 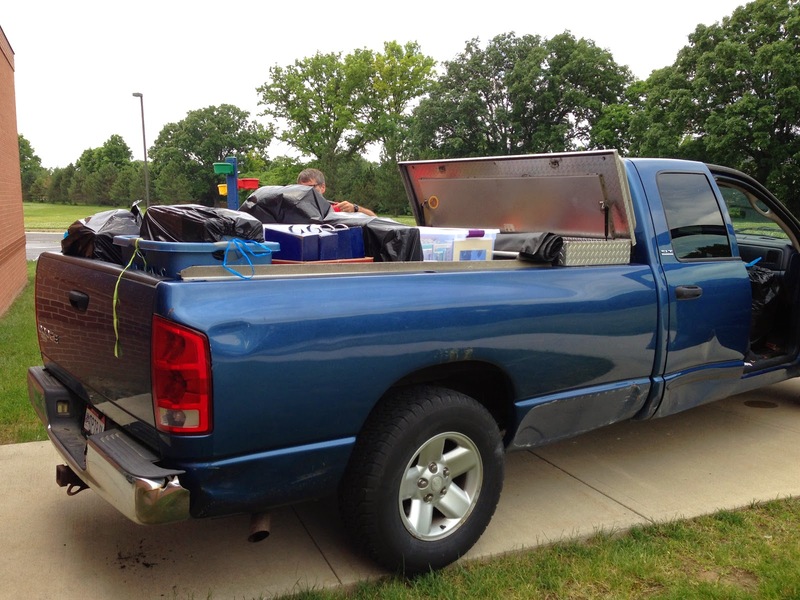 "The truck doesn't need gas so you can use them," he replied from the garage where he was busily tinkering with the mower, "but you should take a couple of the gas cans." Somewhere from decades long gone my teenage self resurrected, "Ugh. The gas cans. Do I have to?" Realizing that sounded a bit ridiculous I added, "I don't want my new car to smell like gas." So maybe my car is two years old, but it still feels new to me. "You don't have to," he gently nudged, "but every can is saving $5.00." It's not fair when he appeals to my common sense side. In our area we earn points off gas by shopping at the grocery story. These points can then be used to save on gas purchases. With gas prices ever-climbing per gallon, this savings can be helpful at the pump. We had a dollar that had to be used as it was the last day of the month, but I did not want to hassle with the gas cans. He had me. I knew he was right, but I didn't like it. "You are really pushing my OCD side," I moaned as I went to grab the cans. I decided to go inside to get trash bags to wrap around each in hopes that would decrease the likelihood of spilling gas in my car. Dramatically placing the gas cans in my trunk wrapped in plastic garbage bags, I headed to the grocery store. It seemed with the hot temperatures I should fill up my car and the dreaded gas cans before shopping so I could get my cold items home in a timely fashion. Muttering to myself I popped the trunk and placed the cans on the ground. I filled the car and then started to fill the cans. I worked carefully to keep gas from overflowing out the top of the can. Finally they were filled. I started to put the caps on and realized I needed to turn the spouts so they wouldn't spill. Geesh. This was challenging to do without getting gas on me so the muttering started again. As I heaved the cans into the trunk one of the cans began to spill pungent liquid out the top. 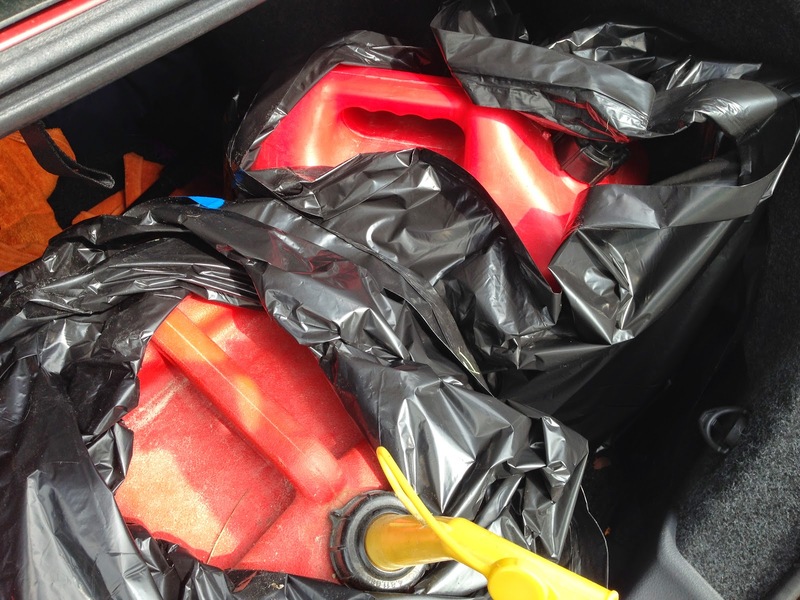 Though I had wrapped the red plastic container in a green garbage bag, I was still worried about gas getting on anything in my trunk. I pulled the bag up quickly to keep it from getting on the carpet. "The sacrifices I make for my family," I grumbled. Knowing the truth was that I was motivated by saving a buck. Ok, five bucks. Two cans, ten bucks. This really wasn't a big deal but somehow, at this moment, it felt like there was no greater sacrifice than filling the gas cans. I was taking one for the team. As I worked to get the cans situated so I could shop, I realized there was nothing OCD about my reasons for not doing this. Apparently, whatever girlieness I had left in my bones was coming out. Ewwww, the smell of gas. Ewwww, I didn't want to touch any part of those cans. My grandma would have been proud. I was her first granddaughter after having three boys and I'm sure she had great hopes of dressing me up and teaching me all I needed to know to be the best girl ever. Unfortunately, it wasn't an easy task. For the most part, I gave up dolls by second grade and dresses before fourth grade ended. The most cooking I could muster back then was a grilled cheese sandwich. Getting me to brush my hair was a challenge. In my defense, I could have brushed it and would have looked the same. An attempt to teach me to sew just didn't work out. You'll still rarely see me in a dress. I may never overly think about fashion. My makeup will likely always fit in a bag smaller than a child's hand. I don't mind getting dirty pulling weeds in the garden. I don't over think the decor of my home, but when it is time to load the gas cans in the back of the car the girlieness will rise to the top and this diva has to draw the line. It's Poetry Friday. Today's link up is hosted at Check It Out. So I'm a little hooked on fantasy baseball. One of my pitchers, Mat Latos, is back with the Reds. Yep, I'm writing this in hopes of sending the power to him to strike out my son's players on the other team. Oh, fantasy sports. Today was my first day without school related responsibilities even though school ended nearly two weeks ago. Since that time I've been packing my classroom as I'm switching to a new position next year and attending professional development meetings. So this morning, I thought I'd stop for a cup of coffee at Starbucks in celebration of all the possibility in a day without a schedule. The barista handed me my coffee and said, "You have the summer off now." Perhaps they noticed that I had actually had a few good nights of sleep since completing report cards, finishing end of year paperwork, and preparing things for the end of the year. They know me well in there. 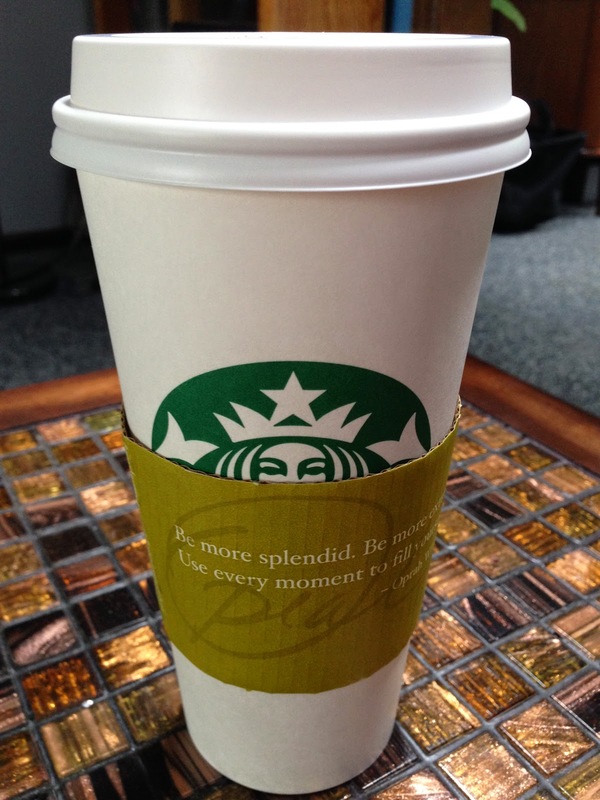 We laugh when I say, "No skim today as I need a high-test cup of coffee so I have energy for this day." Sometimes they look at me and suggest, "Perhaps an extra shot of expresso." I always assure them that no one could tolerate me with extra expresso. So when they smiled and suggested "school's out for the summer" as if the party were about to begin, I smiled and nodded to make things easier. How do you explain to someone a teacher's summer? Yes, my schedule might be a little more relaxed and my alarm might not be set for 6:00 a.m. Monday - Friday, but summer isn't really "time-off." School has been out for 9 days and I've been working unpaid for each one of them. Over the coming weeks, I'll read professional books to help improve my teaching and prepare for my new position. I'll attend Summer Academy classes offered by my district. In July I have two professional development conferences in which I'll lead sessions in addition to co-hosting the #cyberPD book talk. In August, I will attend and lead a session at ILE Ohio. Not only will August be spent preparing for school, but I will also co-host #pb10for10. Last week I read, "How To Stop Obsessing About Work When You're Not There," shared by a colleague. Honestly, that's a little more complicated if you love what you do. I look forward to the time in summer so that I can catch up on professional reads. I look forward to the time in the summer so I can meet with colleagues to discuss learning and consider changes for the new year. I look forward to summer so I have time to think about how to make things better. I look forward to summer so I can spend time learning more about the ideas I want to pursue. I look forward to summer so I can have time for professional writing and reflection. As a teacher it's true that my summer schedule slows down a little more, but there's still much to be done during this time. I love what I do and choose to spend much of my summer improving my craft. How do you explain to someone a teacher's summer? I'm not quite sure, but know it isn't all spent by poolside. It's Tuesday! Today, and every Tuesday, Two Writing Teachers hosts The Slice of Life Challenge (today's link). Thanks to everyone at Two Writing Teachers for establishing and supporting this amazing community of writers. This week I spent my days moving from my first grade classroom to a small room I will be using as a home base while supporting primary readers. I've been teaching more years than I care to admit; just a little over a quarter century. Actually, that sounds worse than saying I've been teaching for 26 years. I've taught everything from kindergarten to 6th grade, as well as worked as a Reading Recovery teacher and as a Literacy Coach. Though I've held many positions, I've always been in the classroom for part of my day. So, I've collected some stuff. That's putting it mildly; I've collected a lot of stuff. 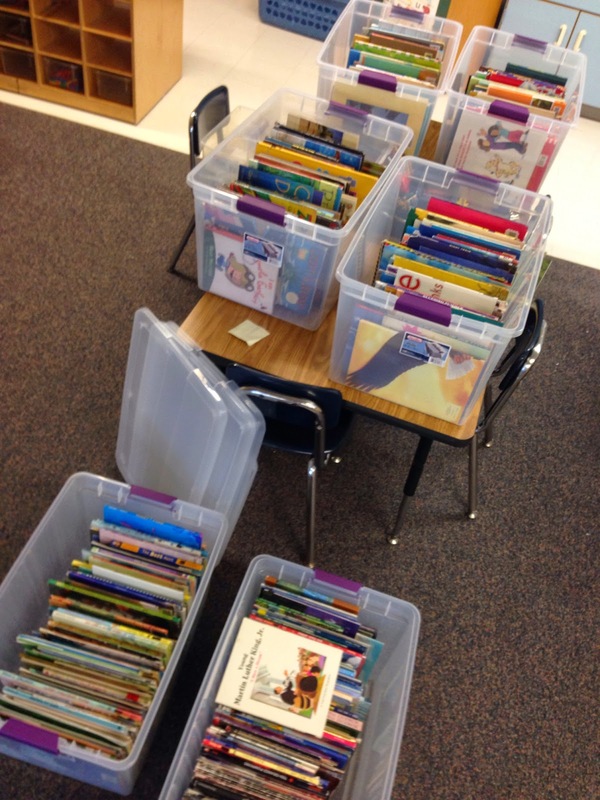 It took days to sort through everything, separating my materials from those belonging to the school. I had to think about what I would still need in this new position. I had to decide if there was room for it in the small room I was moving into for next year. My sweet husband came with his truck and loaded the boxes, mostly book boxes, back to our house. Twenty-six years is a lot of books. As I sorted through I laughed at some of the things I have collected. I've decided I might have hoarder tendencies. If you're a teacher, I know you know what I'm talking about. You just never know what you might need. 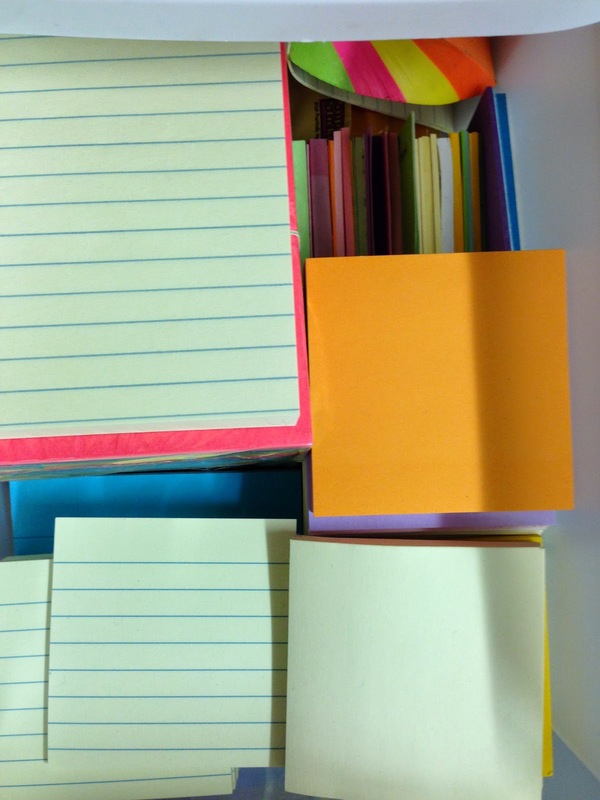 You have post-its in every shape, color, and size. You have enough magnetic clips to hang every piece of paper you've ever touched. You have silver small, silver medium, silver large, magnetic people, and even magnetic frogs stored away. 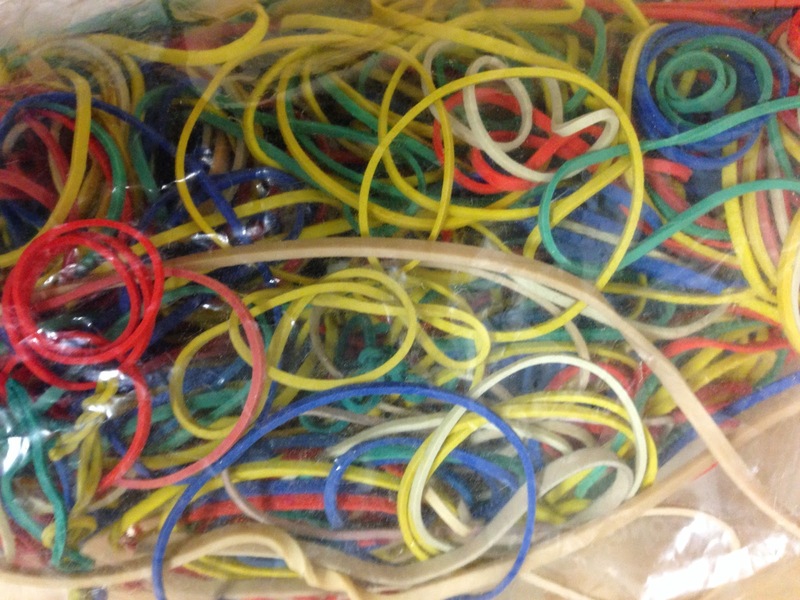 You have rubberbands in every size and color….bags and bags of them. 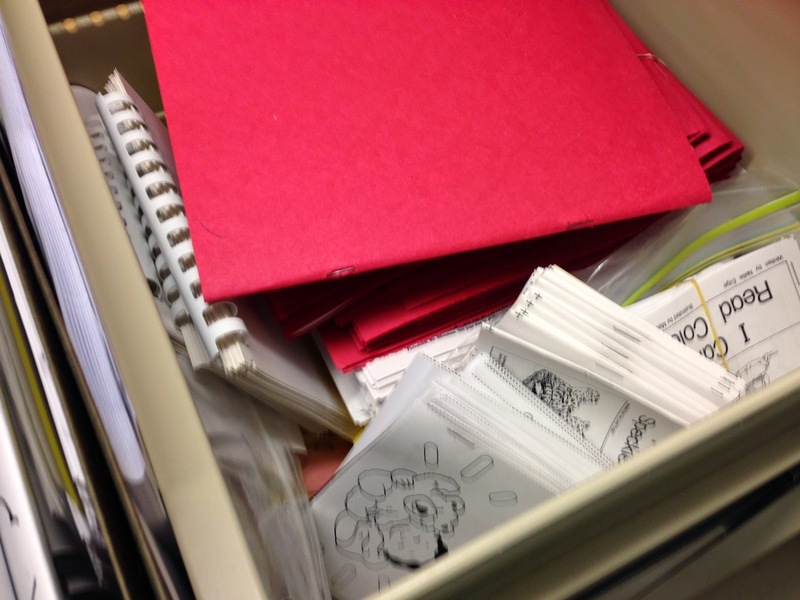 You dedicate file cabinet drawers to folders. Yep, you can't have too many folders. Pencils? 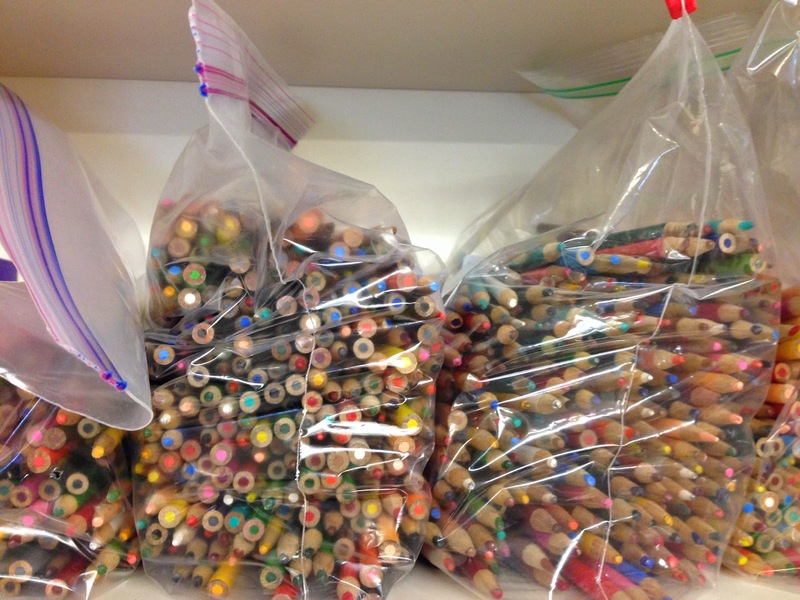 Everyone needs pencils. Small, large, skinny, fat, with erasers, without erasers, striped, starred, red, yellow, blue, colored, regular…you get the idea. Created bulletin board materials circa 1988 which haven't been used for decades - you have kept them. Lamination makes them timeless. 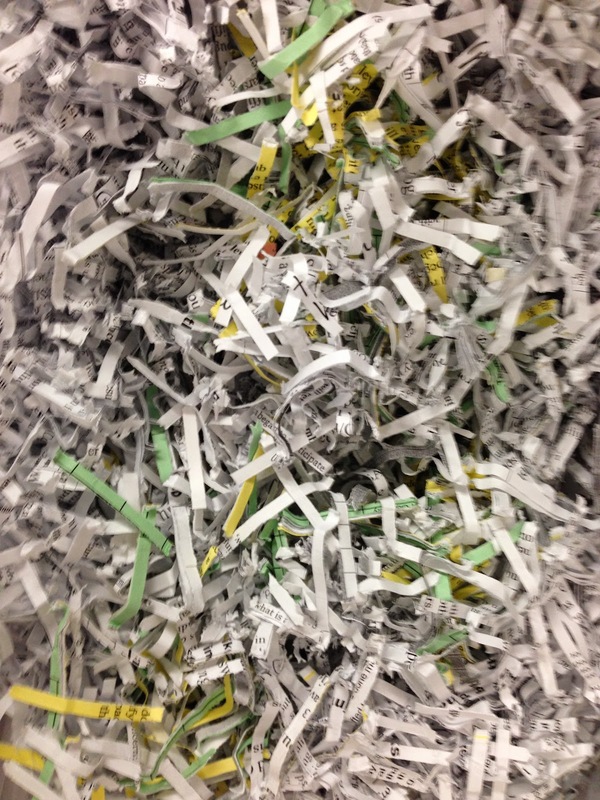 You eyed the shredded paper, resulting from standing in front of the shredder for nearly a half hour, thinking it could be used for something. 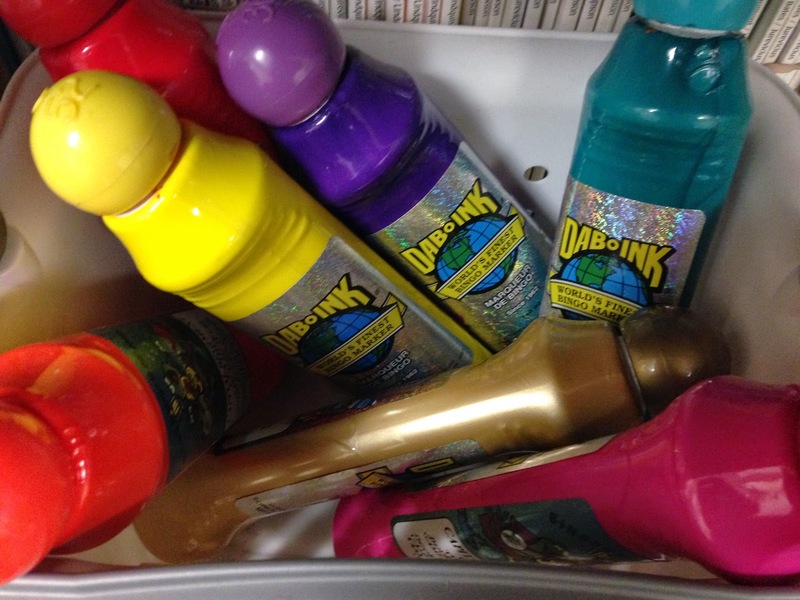 Those BINGO dobbers your grandma used could surely be used for math, reading, or some crafty activity. You better keep those. 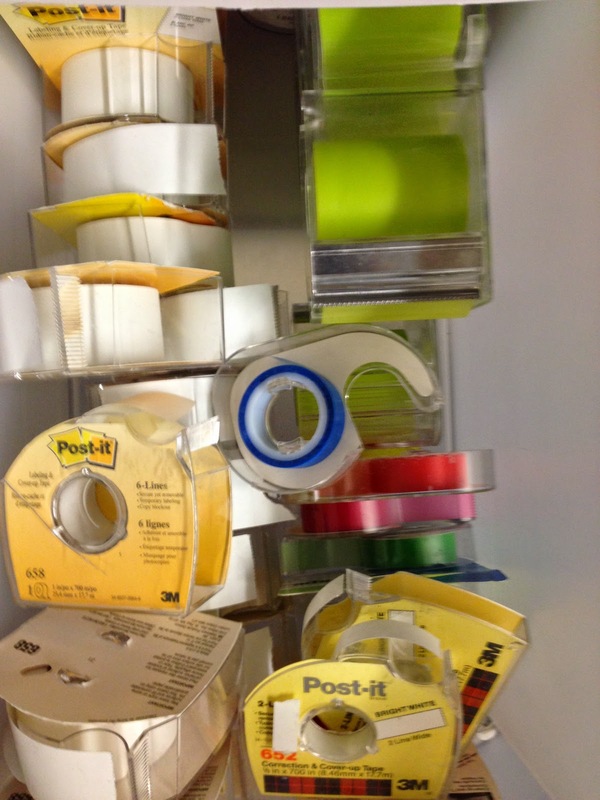 You have drawers dedicated to tape: fix-it tape, highlighting tape, book tape, packing tape, scotch tape, duct tape. 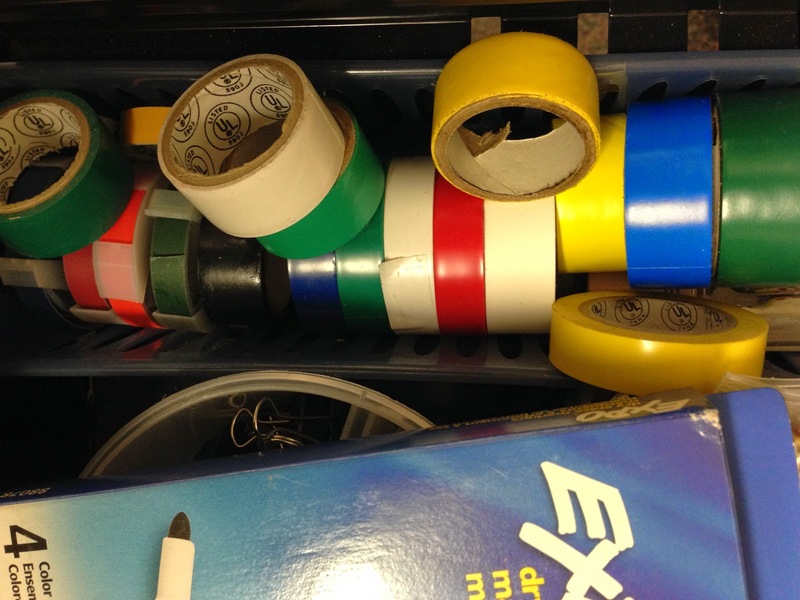 Speaking of tape, you do have rolls of electrical tape for lining smooth surfaces. Those magnetic stove covers from the 90s can do more than cover burners. They're magnetic after all. I've laughed as I've talked about my disorder with other teachers. I've discovered it's a silent problem no one wants to talk about. I now know friends who have used entire closets in their houses, bedrooms, basements, garages, and even rental spaces because one just never knows when those materials might be needed again. 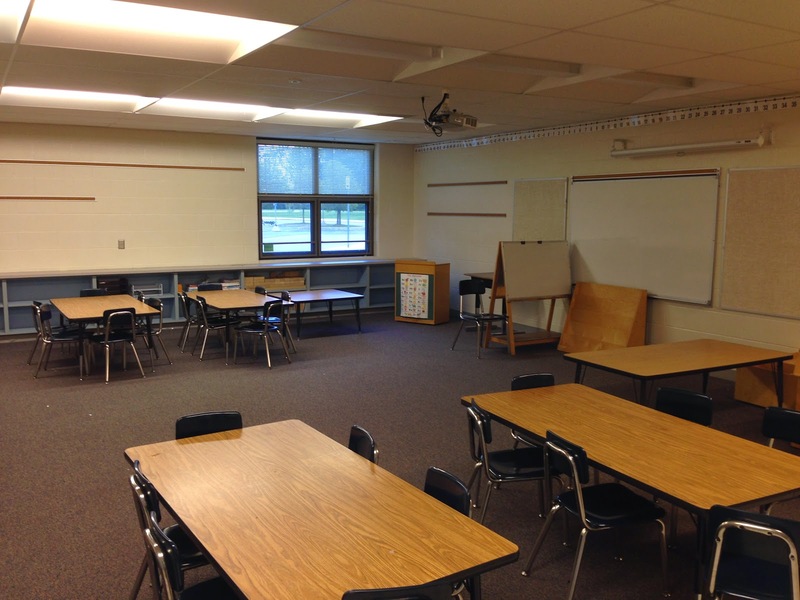 Well, my classroom is clean and the new small room has things packed (tightly) away. Now, about this house. Today I am participating in the Slice of Life Tuesday Challenge. Thanks to Two Writing Teachers for hosting. I went into school this morning to start to move from my first grade classroom into a small room for reading intervention. I'm excited about the change, but not as excited about figuring out what to do with all of the stuff I have collected. I went in at 8 o'clock his morning and worked until it was well past dark. After putting in over 12 hours, I had decided jumping back into Slice of Life could wait until next week. Then I stopped by Kidblog and saw that Maggie had posted today. Our class had discussed posting on Tuesdays over the summer since we enjoyed the month long challenge in March. She had written a poem about the beach. I decided if she could find time to write, I would too. Thanks, Maggie, for reminding me of what is important. I'm going to follow Maggie's lead and write a poem about moving. What will fit in the office? What should be passed along? It's Poetry Friday so click over to Katya Czaja's blog for lots of poetry links. I'm joining today with an original poem about the cherry tree. After 30 days of poetry about objects, I was excited to realize that today I could let my poem find me once again. There's a little freedom in just waiting on a poem to tap you on the shoulder. Of course, my first graders really directed me to today's poem. We were talking about drawing into poetry so I shared a few links from Amy Ludwig VanDerwater's 2013 poem project. I showed them the way she drew about her idea and then added words all around it. We decided we'd try it together with a tree outside our window. 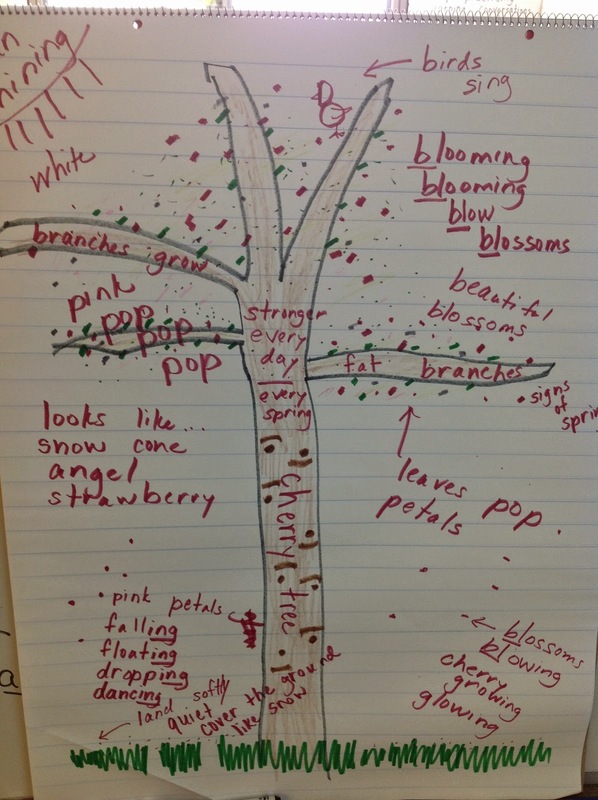 As we collected words and phrases, I started to notice a play with words beginning with "bl" such as blooming, blow, blossoms. They really wanted me to try to turn this into a poem for them….so here it goes. for words to fill the page. when poem and pen become one. Well, this poem explains about a third of my nights in April as I tried to get a poem posted by midnight. In March I wrote every day as part of the Slice of Life Challenge. This month I have written 30 poems about objects. It's been a bit of a challenge. My hope had been to capture the stories behind the objects of our lives. 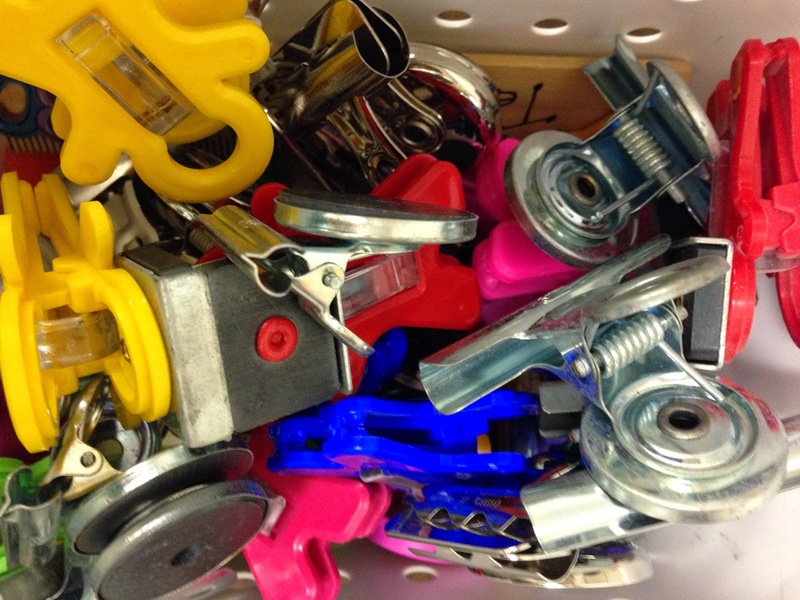 For the first seven days of the challenge I wrote about "objects of memory," then "objects I just can't live without," "school objects" and finally a little "playground poetry." Of course, I wouldn't have survived the month without the inspiration of Mary Lee Hahn, Amy Ludwig VanDerwater, Linda Baie, Carol Wilcox, Catherine, Kevin, Julianne, Leigh and other poetry bloggers (view links in sidebar) taking the challenge to share poetry each day during the month of April. Today is the last day of April so it is the end of 30 days of poetry for #NationalPoetryMonth and it is time to celebrate with a Chalk-a-bration. Today I join Betsy Hubbard in a little end of the month poetry celebration. It has been snowing for months making it hard to participate. My students and I were determined that despite the rain we would get outside for a chalk-a-bration celebration. 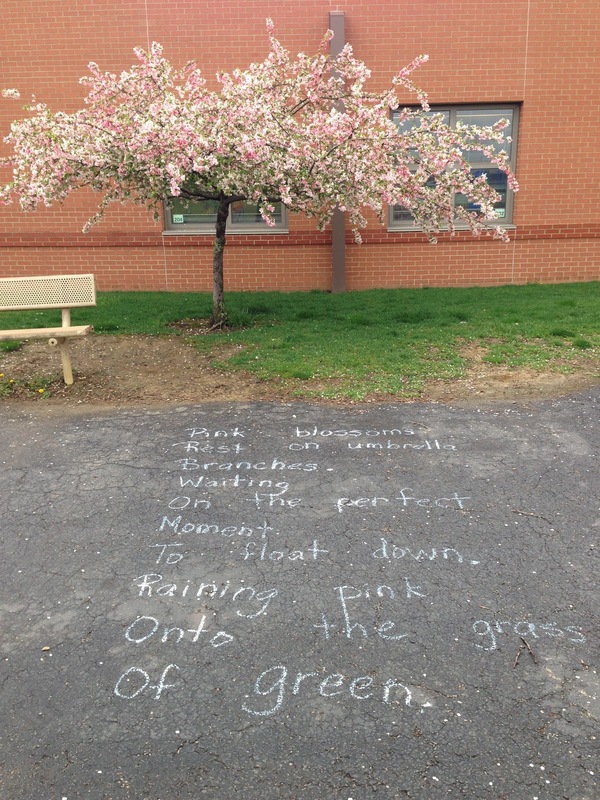 While on the playground, I couldn't help but notice this flowering tree waiting for a poem so I stopped to write a little poem inspired by the colorful blossoms. I'm writing poetry for 30 days. For the first seven days of the challenge I wrote about "objects of memory," then "objects I just can't live without" and "school objects." For the next seven days I will be writing about objects that can be found on the playground. This will help me to prepare for a little poetry writing with students. Our class will be taking poetry around the building in the days to come. April is National Poetry Month. Again this year, inspired by Mary Lee Hahn, I'm joining other poetry bloggers (view links in sidebar) taking the challenge to share poetry each day during the month of April. For thirty days my hope is to write a new poem each day. The first two years I took this challenge I wrote any poem that found me. This year, however, I've decided to try to write a poem about an object each day. If you've read Billy Collins' poem, The Lanyard, you may have noticed the way he took an object to tell a much more meaningful story of his relationship with his mother. My hope is to find the deeper significance in the things around me. able to help it sing. into a poem to share. I spent today trying to find a poem about an object on the playground. Is this the day for monkey bars? For rings? For soccer goals? For tetherball? As I tried to find the words, poetry seemed to be unfolding around me. My commitment to the project made me want to stick with the topic, but the words were somewhere else. So I wrote this. and monkey bars much too tall. we dove in the pool. as tall as our school. we all lived through it. I gladly would do it. I'd planned to write about a slide today, but somehow I started thinking about the old witch's hat on our school playground. We used to gather on that piece of equipment and push from side to side. At some point they quit letting us put our feet in the middle and soon we weren't allowed to ride it. My friends and I would go to the school in the evening and play on the witch's hat. We'd stand on it, pushing back and forth until the hat banged against the metal pole in the middle. I'm sure that wasn't safe….which inspired this.